As birds return south for the winter, they can face some deadly obstacles, like windows. One report estimates up to a billion birds a year may die from collisions with glass windows in the U.S., and that could be up to 10 percent of the population in the country. 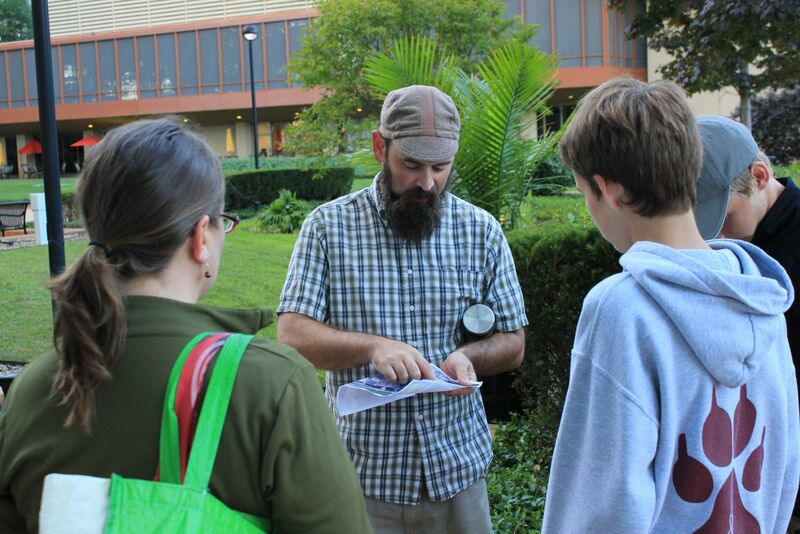 BirdSafe Pittsburgh is a new initiative that enlists bird-lovers to help collect data that could help keep birds more safe. It's a pilot program which kicked off in the spring with the National Aviary, conservancies, and other groups and it’s similar to monitoring efforts in other urban areas like New York and Chicago. At 6:30 in the morning on a recent Sunday, a dozen or so people gather by a fountain in the courtyard of PPG Place—tall glass buildings in Downtown Pittsburgh for training on collecting dead or injured birds for BirdSafe's monitoring program. Matt Webb is the organizer of this morning's training. He works for the American Bird Conservancy at Powdermill Nature Reserve, doing research on bird collisions with windows, trying to develop bird-friendly glass. Webb’s one of the few people in the country doing this kind of work. But Webb’s hoping to track birds in a methodical way, getting data that scientists can use. The information collected could help test popular theories about bird collisions--like whether turning out the lights in skyscrapers at night is really effective for protecting birds. To get things started this morning Webb’s handing out paper bags and little bits of paper as more volunteers arrive. 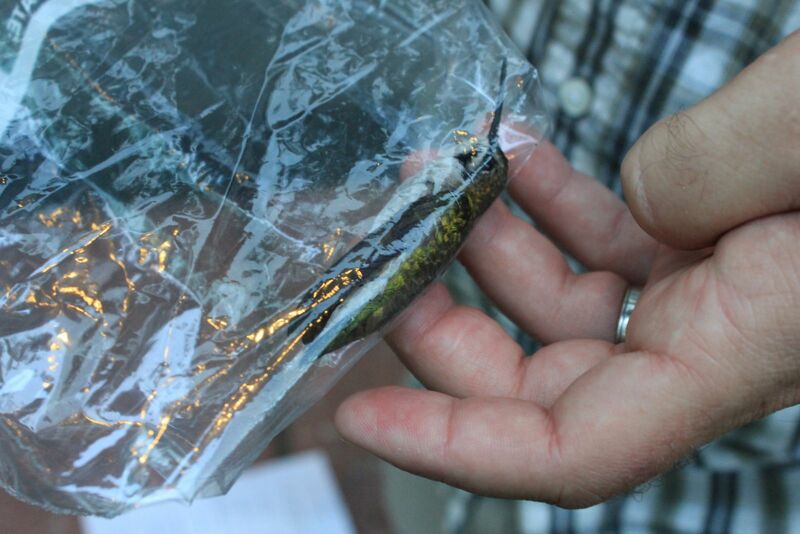 "These will go inside the plastic bags if you find a bird that’s on the ground—a dead bird. The information that’s on here will need to be filled out—your name, the species, the date," Webb explains. "And then these paper bags are for live birds that you find. You can put the net over the bird if it’s stunned on the ground and grab it and put it in a bag and we’ll take it to the rehab center." The project’s volunteers found around 70 birds here in Downtown last spring. Webb pulls out some maps. "These routes aren’t the only place you can do any monitoring this fall," Webb says. "You could set up something where you live. Or even just monitor your home. Just data from your home would be really of use to us because 48 percent of the collisions that happen on peoples’ homes." There aren’t many people out at this time on a weekend, and few cars. So as we split up to start the search, it’s easier to pay attention to the sidewalk and spot dead birds before cleaning crews get to them. "It’s important to keep in mind that birds hit every single size of windows. Even those windows on this tall skinny building are a danger," Webb says. "And also when a bird hits a window, if it’s not immediately killed, it will run and hide, and so corners and little places inside of gates." Webb says birds see the trees in the window and that’s what usually causes the problem. 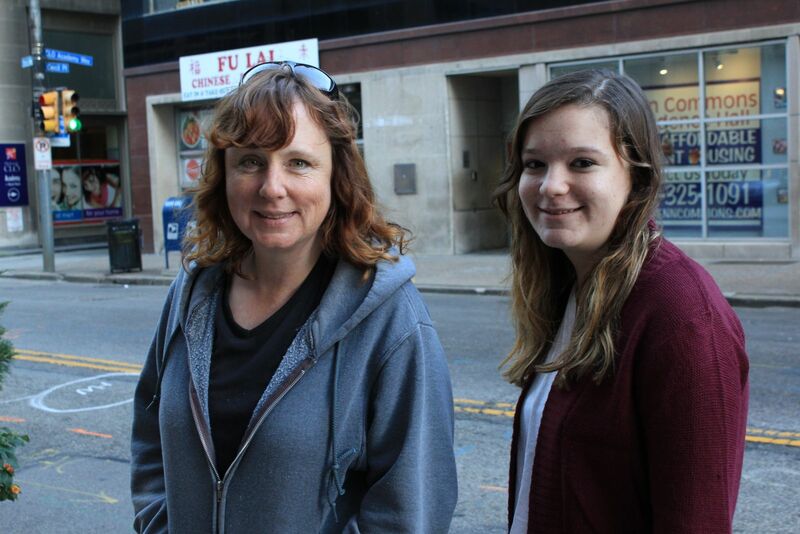 Traci Cutri and her daughter Katelin are from McDonald, Pa. They woke up at 4:30 a.m. to be here. Traci says she's going to help out on her way to the office on weekdays. "I’m a bird fan," she says. "I work Downtown and I thought this would be a good way to help. I thought I have to walk anyway, I might as well pick up a body bag and hopefully not see any." But two members of our group motion to the rest of us to join them at the end of a sidewalk, along a string of office buildings. "Is that a hummingbird? Wow, that’s the first hummingbird that we’ve found," Webb says. It's a Ruby-Throated Hummingbird, about the size of Webb's finger. He estimates it only weighs as much as two pennies. Webb demonstrates how to scoop up the bird. "So, you guys could collect birds by inverting the bag, and grabbing it." Webb hopes to attract more volunteers to monitor routes regularly—Downtown and beyond. He says the data collected will broaden the knowledge of the problem not just in Pittsburgh but nationwide. 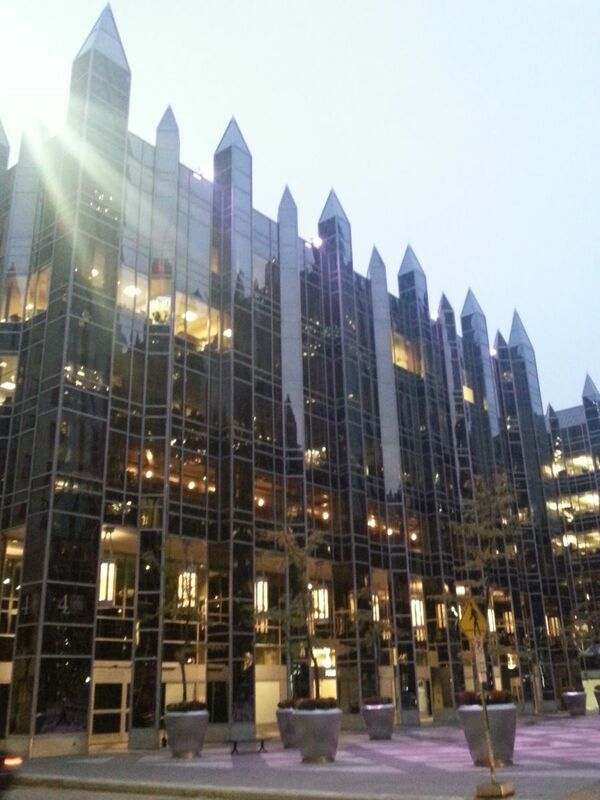 Photos by Kara Holsopple: PPG Place in Downtown Pittsburgh; Matt Webb of BirdSafe Pittsburgh; Traci and Katelin Cutri; Ruby-throated Hummingbird sprcimen.